Stop playing nice and letting her kick you around. ReSeduction 2.0 will turn her into a docile little kitten, desperate to crawl back into your arms. You Will Make Her Suffer. ReSeduction is NOT a "play nice" method. You will be exploiting her past memories and experiences with you to make her suffer through emotional pain and grief. And the only way she stops the pain is to come back to you. Once you get started, there's no turning back. ReSeduction is not a game. If you don't finish the entire ReSeduction sequence, she'll risk getting stuck with emotional torture for a long time. The ReSeduction 2.0 package contains six action-packed modules which covers the relationship recovery process from A to Z. Like Shogun Method, ReSeduction strategies are evergreen - they work no matter if (1) your relationship is about to end, or if (2) you have just broken up with her, or if (3) the relationship had ended for weeks, months or years. 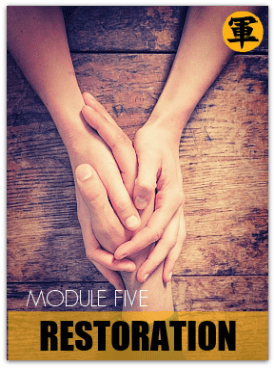 Module #1: What Is ReSeduction? The first module lays out the essential groundwork for the four-step ReSeduction roadmap. You'll discover how ReSeduction is different from conventional "get your ex back" approach and set yourself up for success with a winning mindset from the start. 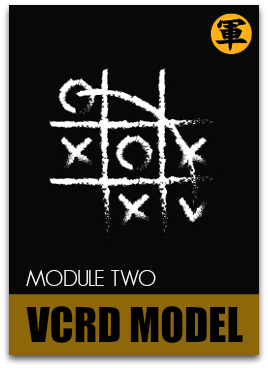 The second module details the "VCRD Model" - which is equivalent to the standard IRAE Model inside Shogun Method. This will give you a clear step-by-step roadmap on how to bring your ex-girlfriend or wife back into your arms. 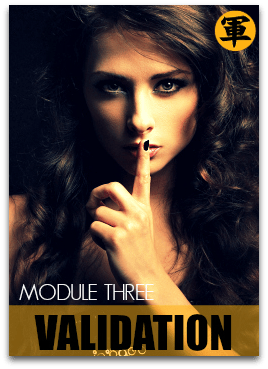 The third module outlines the first stage of the VCRD Model - the Validation stage. In this stage, you'll regain your position of power in the relationship. You will do this by "Pacing" and "Leading" the interaction with poise and authority. The fourth module contains the second stage of the VCRD Model - the Confirmation stage. In this stage, you'll "confirm" the end of the OLD relationship so that you can restart with you as the driving force and dominant partner of the NEW relationship. The fifth module features the third stage of the VCRD Model - the Restoration stage. Here, you'll do a "Hard Reset" and restore the relationship back to happier times WITHOUT the emotional baggage and bad feelings. 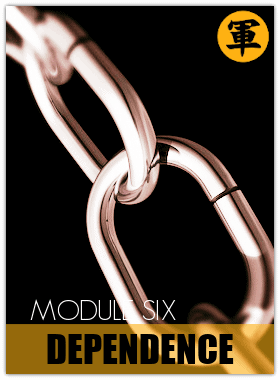 The sixth module outlines the final stage of the VCRD Model - the Dependence stage. This is the "end game" of ReSeduction - when you have reached this state, leaving you will never be something that she will ever consider again. Free Upgrades For The Next 5 Years. Your ReSeduction package comes with upgrades that we will release for the next five years from the date of your purchase. Upgrades are automatically uploaded into your member's area, and comes at no extra cost. ReSeduction 2.0, for example, has been given to our existing ReSeduction clients for free. With the upgrades, you'll get new, cutting-edge techniques and tools that you can use to KEEP your woman emotionally Enslaved to you AFTER she comes back to you. ReSeduction is expensive. Why? Because only serious guys should get access to this material. ReSeduction's success rate is exceptional, and I will not let our track record blemished by people who are not serious about using this knowledge. Buy ReSeduction only if you're willing to do whatever it takes to get her back.